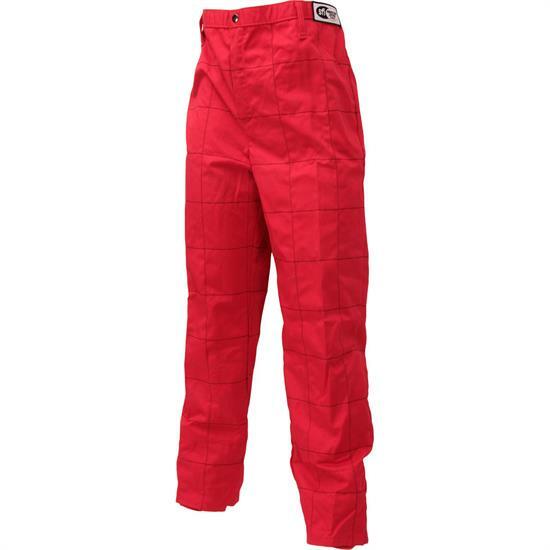 These G-Force SFI 1 pants are single layer pants in black only. The GF-125 racing suit pants are made with Pyrovatex® fabric and feature an elastic waist band and finished off with hidden cuffs under a wide, boot cuff pant leg. The pockets are inset or sewn inside to hide seams and provide more usable space with a cleaner design. It's important to use the right method when you're cleaning fire resistant material. We can show you the recommended procedure to ensure the durability and integrity of your suit through its entire lifecycle. Fire suits are constructed from a variety of fire resistant materials. We can teach you the difference between the most common suits like Nomex and fire resistant cotton such as Proban.